U Shape modular kitchen is a design where two people can work freely without disturbing their working zones because of availability of plenty of area to walk around. 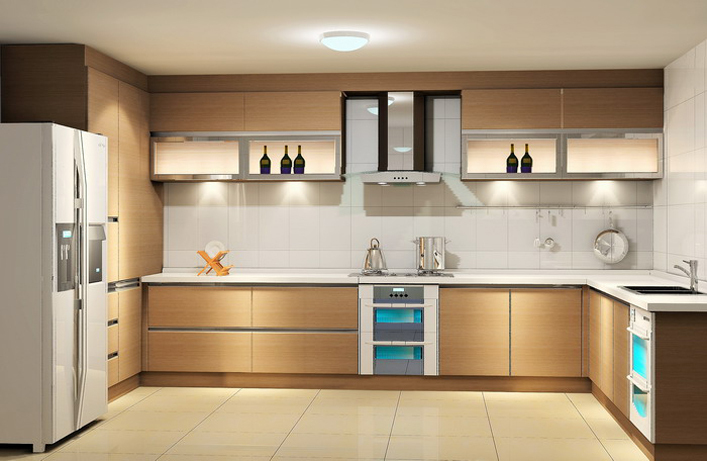 U Shaped modular kitchen is also good for storage as this type of design have lots of space to work around with the accessories and appliances. Corner and Carousel Units, Space for Appliances & accessories, easily working of two cook are the specialty of this U shape modular Kitchen.